It’s also aiming to go to space, but we’ll take New York first. We’re just never done trying to move faster through life, are we? A scant few months after this super-speedy aircraft was announced, whipping passengers to NYC in a shade over three hours, we’ve had a new competitor scoff in the face of such sluggishness. 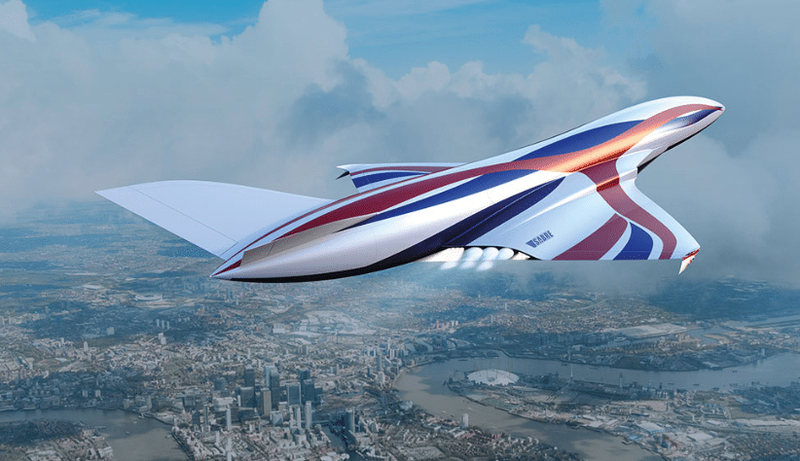 Oxfordshire-based Reaction Engines have just unveiled a ‘spaceplane’ that can travel at three times the speed of sound — which would reduce the flight time to New York to just under an hour. See also: The swish new train service that’ll get you to Edinburgh for £25. If this works, the implications are pretty huge. For instance, you could wave goodbye to your pal at Heathrow airport, hop on the spaceplane, and be munching down an everything bagel before your chum has navigated the Piccadilly line to Cockfosters. It’s been made possible by a successful test of new pre-cooling technology, which would keep engine temperatures down during supersonic travel and considerably speed up air travel. Indeed, the top speed of Mach 3.3 is 50% faster than the cruising speed of Concorde, the current benchmark for high-speed air travel. See also: Driverless cars will hit the streets of London by 2021. Reaction Engines aren’t planning to stop there, though. They reason that if they can go three times faster than the speed of sound, they can go 25 times faster and take the party to outer space. Of course, that’s a long way off; this was merely the first round of testing, and the engine still needs rigorous inspection before it’s put into a plane and taken out for a spin. One day, though! Fancy a deep dive into the details? Read the full news announcement here.